Grease a 30cm pie dish. Combine all the ingredients, except topping and beat well. Spoon into pie dish and dust with cinnamon. Bake for 45 minutes until puffed and set. 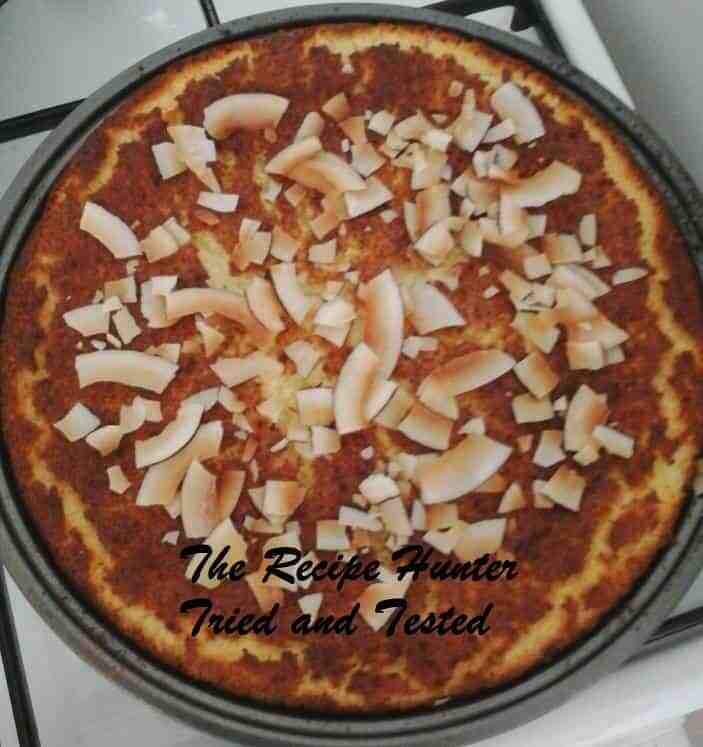 Top with coconut shavings or toasted flaked coconut if not dusted with cinnamon.